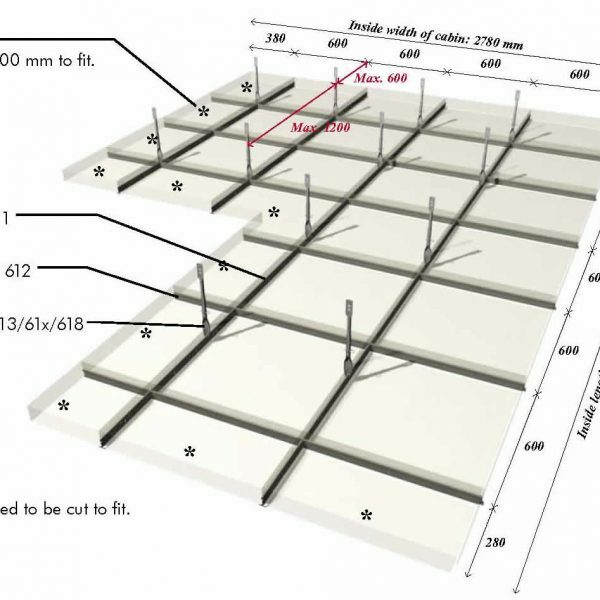 When planning the layout of the ceiling, certain requirements may have to be taken into consideration. A demand for a symmetrical layout in all or some of the rooms, the location of light fittings, ventilation units etc. may be decisive for the choice of layout. When no such special requirements exist, the layout that gives minimum waste and cutting of ceiling tiles shall be chosen. 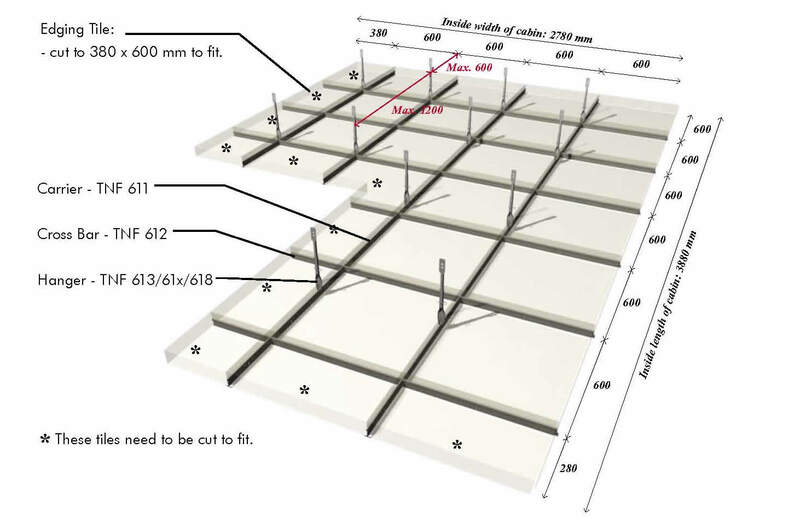 The quantities of ceiling tiles and grid system parts calculated should be increased to make provision for damages which may occur during the installation. The quantities of spare tiles and parts to be added are individual and should be based on prior experience. Finally the tiles are placed in the grid system.